All Peerceptiv purchase options come with full technical support and LMS integration. Peerceptiv improves learning in all disciplines. Campus-wide subscriptions allow unrestricted use by all instructors across campus or in that institution. Peerceptiv includes LTI integration and support for all common Learning Management Systems, allowing single sign-on, auto-population of students into Peerceptiv, and passback of the overall grade into the LMS gradebook. Instructors may also use Peerceptiv in direct-login mode on the Peerceptiv website. Campus-wide subscriptions also offer access to Peerceptiv’s Administrator Dashboard, which includes high-level data and single-click login for all courses and instructors using Peerceptiv. 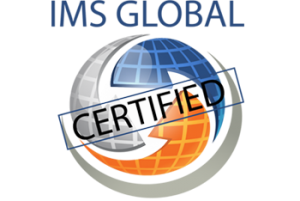 Peerceptiv is an IMS Affiliate member, and also offers access to Caliper Learning Data through the Administrator Dashboard. Additionally, we include a custom API to allow instructional technologists to query a wide range of data specific to that school’s users and events. Peerceptiv frequently offers special, discounted pilot pricing for campus-wide subscriptions in their initial semester or year. For more information on the Peerceptiv campus-wide options, please contact info@peerceptiv.com. Peerceptiv offers a Student Purchase option for applications requiring student engagement and scalable learning, but without having to secure funding approval. When instructors select the Student Purchase option in course setup, all students are directed to the Peerceptiv secure payment portal when they first join that course. Instructors may then assign as many formative feedback tasks as they wish. Peerceptiv’s Student Purchase option also includes full technical support and, with proper coordination with that school’s instructional technology office, integration service and support for all LTI-compliant Learning Management Systems. The Student Purchase price during the 2018-19 academic year is $12.50/enrollment seat. Peerceptiv also allows instructors or departments to purchase exactly the number of enrollment seats required. The purchase may be done via invoice or online using Peerceptiv’s secure payment portal. Enrollment seats may be shared with other faculty within a department; unused seats never expire and may be used in any subsequent semester. Faculty subscriptions are available in the 2018-19 academic year for $12.50/enrollment seat. Like all Peerceptiv pricing options, enrollment seats purchased through faculty subscriptions include full technical support and may be used in direct-login mode or, with proper coordination with the instructional technology office, integrated with any LTI-compliant LMS. For more pricing information for instructor, department, or special use cases, please contact info@peerceptiv.com. Please complete the form if you would like additional information about Peerceptiv pricing.